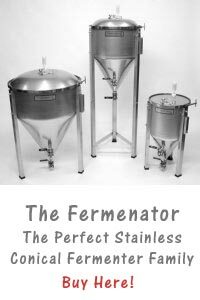 When you are considering making your own beer, there is the choice to create a home brewing system from scratch, to buy a beer brewing kit or to buy a automated beer brewing machine. When you buy a beer brewing machine, there are different types to look at, from semi to fully automatic so that the process is purely done by the beer brewing machine from start to finish. There are also different sizes of automated beer brewing machines on the market, the average being a fifteen gallon system which makes your home like a microbrewery. Although the automated beer brewing machine are nice from a convenience standpoint, they also cost over two thousand dollars and that is in most cases more expensive than most people are willing to pay. Instead of buying an automated beer brewing machine, you can also make your own home brewery by buying each individual piece of equipment separately. This way the entire set costs less than two hundred dollars, depending on the size of the equipment that you desire for each piece of the set. This is considerably less expensive than the automated home brewery systems that are on the market. Brewing at home without an beer brewing machine is a process that takes a lot of time and cleaning in order to make sure all is sterilized for the process to work correctly. Most of the equipment can be placed in the dish washer for sanitizing through the heat drying cycle, although some pieces may be too large for some dish washers. If this is the case, the equipment needs to be sanitized through a bleach solution or an iodized solution so that all bacteria is killed before using the equipment in the beer making process. This is something that is made easier with an beer brewing machine, as some of them come with a cycle that will sanitize the equipment without that scrubbing involved with a set. But there is an in between solution, because there are beer kits that make the rest of the process easier with a home brewing system since all of the ingredients are contained within the kit for the home brewing process. Once the ingredients are boiled and dissolved then they are placed into the primary fermenter for three to five days where it begins the fermentation process as wort. During the process carbon dioxide is let off and no outside air can be let into the fermenter. After that, the bottling process can begin and the secondary fermentation process can begin. 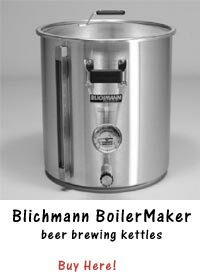 If you don’t have enough money for a automated beer brewing machine a beer brewing kit is a good and solid solution. It really isn’t all that much work and the care you put in to the chore helps to make you more familiar with the process. You are talking about maybe an hours worth of work – two tops. Also, considering that brewing was possible during times before modern day sterilization and sanitation was possible, I’ve found the tolerance to be better than advertised.